Meet the illustrators and find out more! 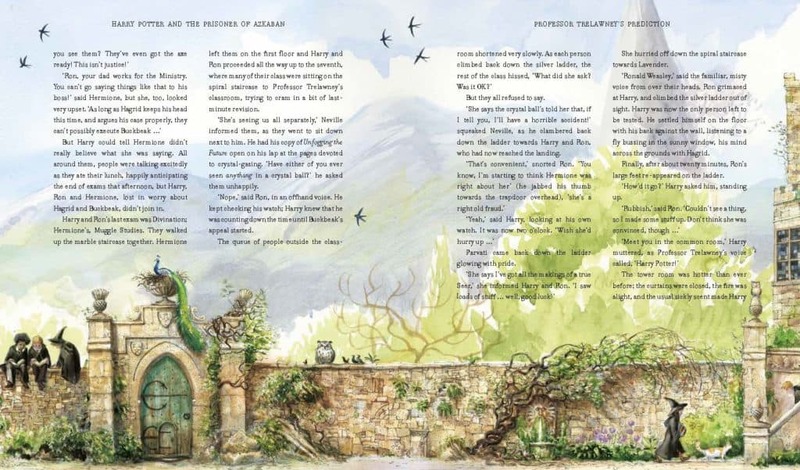 You might have seen some lovely illustrated Harry Potter books in your local shop! 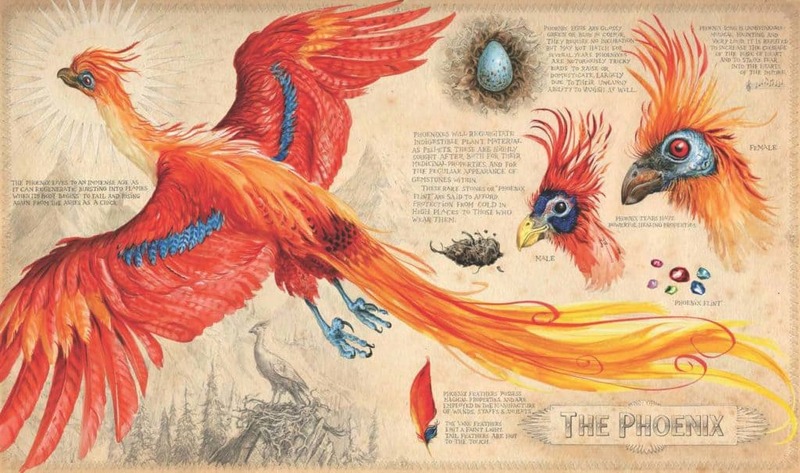 They are editions of J.K. Rowling’s very own stories, illustrated for the first time ever. 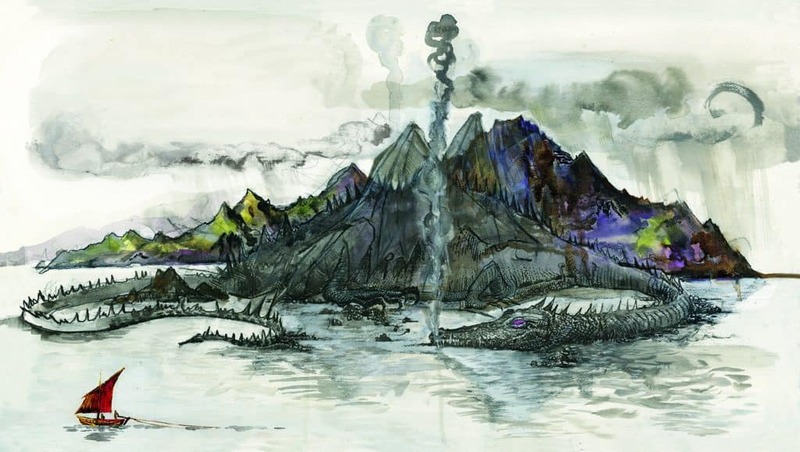 Jim Kay and Olivia Lomenech Gill along with Jonny Duddle worked with paint, pencil and pixels over several months to create them. Let’s find out how they did it and what it felt like! 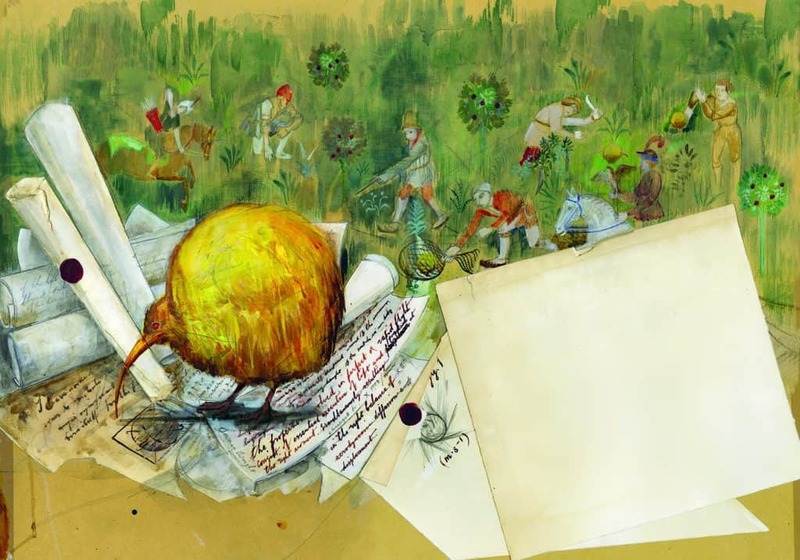 Jim Kay is the illustrator of the new Harry Potter Illustrated Editions books. There are three out at the moment, Harry Potter and the Philosopher’s Stone, Harry Potter and the Chamber of Secrets, and Harry Potter and the Prisoner of Azkaban! 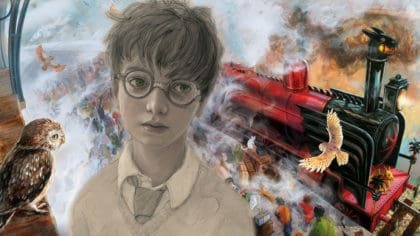 How did you feel when you found out you would be illustrating the Harry Potter novels? Hearing the news that I’d got the commission was an explosion of delight, followed instantly by an implosion of brain-freezing terror. From my point of view it is, without doubt, the best commission you can be given – I’m a bit of a control freak, so to be given the opportunity to design the characters, the clothing the architecture and landscapes to possibly the most expansive fantasy world in children’s literature, well lets just say I’m extremely excited about it. However, I am also mindful of the huge responsibility this represents, I just want to make sure I do the best job I possibly can. 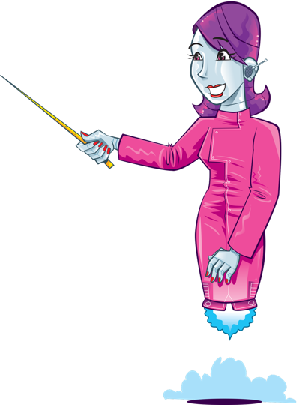 Is there a particular character or scene that you are looking forward to illustrating? It’s like trying to choose the shiniest object in Aladdin’s Cave; you pick up one treasure, and another gem catches your eye. I couldn’t even pick a favourite creature at the moment (maybe a Thestral, or a Bowtruckle, but then the goblins are wonderful characters, mind you there are trolls too – you see my problem!). 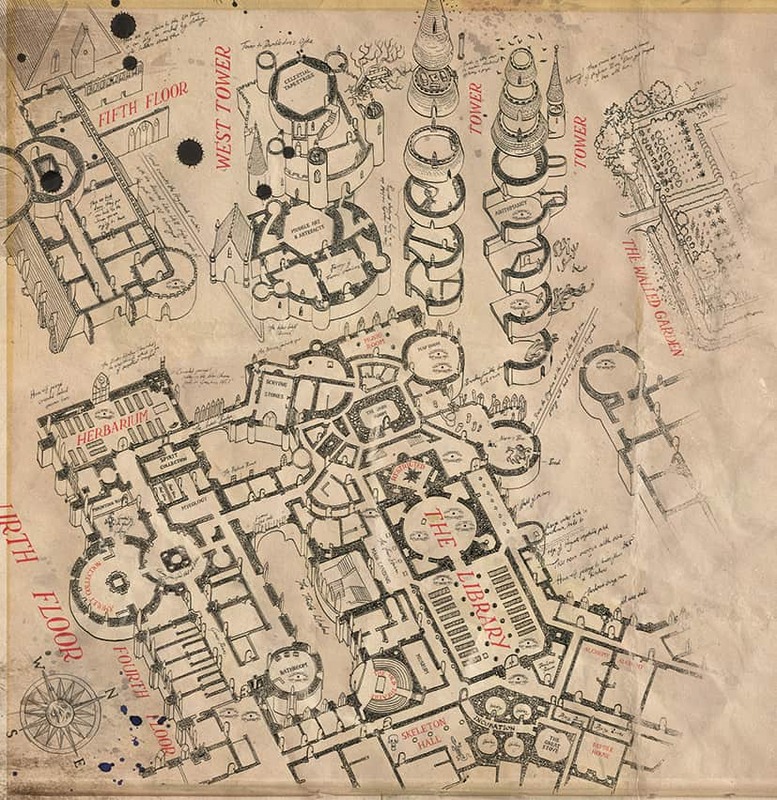 It’s been lovely thinking about creating the characters, but at the moment my favourite task is creating Hogwarts – it’s the first time I’ve thought about building something supported by magic – it’s harder than you’d think. How do you as an artist approach such a large job? Where do you begin with such a wide range of possibilities? It sounds obvious but you start with the text. The story is everything, and so I want to bring what I can to really show the depth of Rowling’s stories, to their best. Then it’s a case of research, and lots of it. The books have made me look at people differently, I’m always scanning crowds for interesting faces. Museums and libraries are my favourite places for inspiration. You might see something, it could be a medieval shoe, an old clock, or a stuffed monkey and immediately it gives you ideas about the characters in the story, the things they would do, the way they walk. Olivia’s the illustrator of the Fantastic Beasts and Where to Find Them Illustrated Editions. How do you go about creating each beast? Which one was the quickest draw and which one took the longest time? Of course there are so many different beasts in this book, well over 100, some small some large, some harmless and some very dangerous, so they all required a different treatment and approach. However it was interesting because some of the beasts I was initially most uncertain about were the ones I ended up enjoying the most. The Manticore was one and the Chimaera was another. Both of these I did as different sorts of printmaking, the Manticore was an etching, which I did in the style of the old ‘engraved cut-out’ toy soldiers children used to use and play with in Victorian times. This was my way to portray the ‘ferocity’ of the beast , by including some ‘cut out’ body parts, in a stylised way, of it’s unfortunate victims. Meanwhile, the Chimaera is a mythological beast which J.K. Rowling has included in the Fantastic Beasts book. This was one I was unsure about how to approach in the beginning as it is a very dangerous one and I didn’t now how to portray this. Which beast was your favourite to draw? Also, apart from the text, where all did you look for inspiration? There are different ‘strata’ of beasts in the book, some that J.K. Rowling has created entirely from scratch, as it were, then some which are drawn from classical mythology and, finally, some which are drawn from real life creatures, in single or hybrid form. This at least is how I read it, so I looked for/found my inspiration accordingly. The text in the book is quite minimal, so it was really important to have as far as possible, ‘real’ subjects to draw from. As for my favourite beast, I would have to say it is the Occamy, which features on the cover.